Recoverable / Taxable Costs to the Prevailing Party - В сложной финансовой ситуации приходит на помощь кредит наличными в Казахстане. When a party prevails in litigation, the party should be entitled to recover its “costs” incurred in connection with the litigation. This is different than that party’s attorney’s fees. See Fla. Stat. s. 57.041 (“The party recovering judgment shall recover all his or her legal costs and charges which shall be included in the judgment.”). While the taxable or recoverable costs a party is entitled to is within the discretion of the trial court, there are important guidelines to be followed known as the Statewide Uniform Guidelines for Taxation of Costs in Civil Actions. See Fla.R.Civ.P. 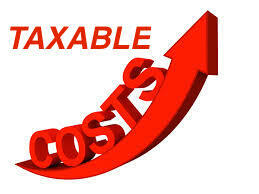 Taxation of Costs. A losing party may appeal the award of costs to the prevailing party, especially if those costs are unreasonable or do not comport to the Statewide Uniform Guidelines for Taxation of Costs in Civil Actions. For example, in a recent case, a losing party appealed the trial court’s award of expert costs. The expert did not testify at trial for the prevailing party. The appellate court reversed the award of costs to the prevailing party maintaining that costs of non-testifying experts or experts that are not qualified to testify at trial are not recoverable / taxable costs. See Woodbridge Holdings, LLC v. Prescott Group Aggressive Small Cap Master Fund, 2015 WL 4747174, *1-*2 (Fla. 4th DCA 2015).